Closed Monday- Wednesday, except during holiday times- call first! We may be open on some Thursdays- call first! By appointment or by chance. If we are in the shop, we are open! 12, a modern antiquities shop and cafe, offers old world elegance with a modern sensibility. 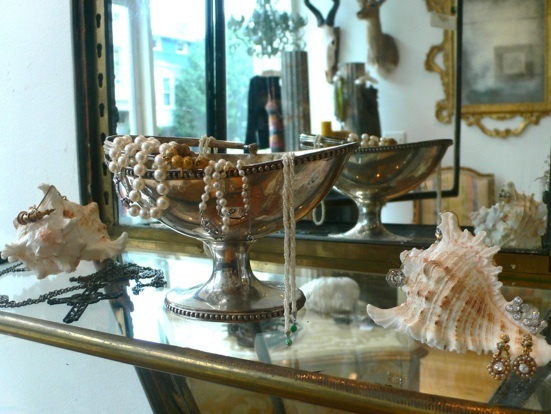 The shop features obsessively curated ancient objects, period antiques, fine art, vintage finds, antique and contemporary fine jewelry, plus never or barely worn designer fashion and accessories. We now have a lovely cafe and bake everything here on the premises. We serve organic coffee, teas and cappuccino/ espresso plus fresh made desserts using organic and local ingredients as much as possible. We are open late (until 9PM) on Fridays and Saturdays. We can do special orders on baked goods, too. Visit our retail store and cafe in Hudson and view/ shop our inventory online. We can ship anywhere and we also deliver within the NYC and Hudson areas for a small delivery charge. And on the 12th of every month we post our 12 most- loved pieces. 12 is ideally located in historic Hudson, NY, just 2 hours north of Manhattan and easily accessible by car or by Amtrak. 12 is a mystery. 12 is a concept. 12 is a cycle. 12 is midnight, and high noon. 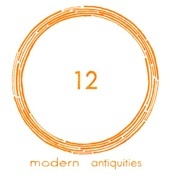 12 is Hudson, NY's modern antiquities shop.